This specific tank allows a storage with permanent UVc disinfection. With the common RO tanks, if the water is not used for a long time (During the night for example), the stagnation will develop batceria. Our storage tank is composed of high density polyethylene (HDPE) custom made as your required need. It allows the safe storage with permanent UVc disinfection. Thanks to permanent disinfection by UVc, the water stays unaltered through the entire storage process. 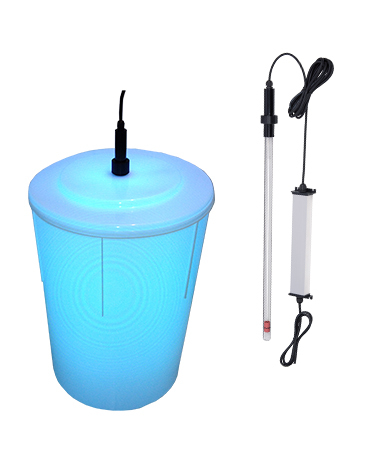 The high disinfection power lamp suppresses any possibility of contamination of the liquid.